There's so much trash coming from this nation. As the focus on ocean pollution and how to stem the flow of plastic into the sea increases, the heat is on for the countries that are most responsible for the garbage in our waters. Over the past decade, the top polluting nations have stayed pretty consistently in one area of the globe. 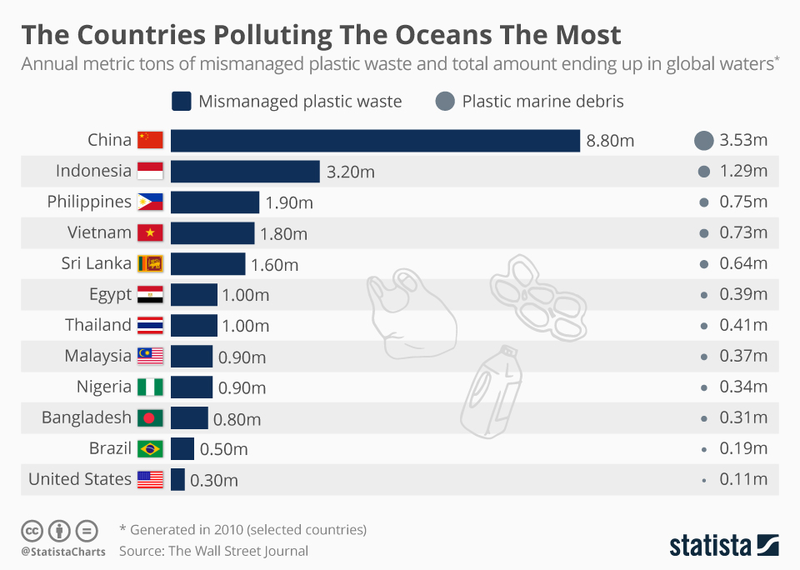 According to the Wall Street Journal data compiled by Statista, the top five countries that had the most mismanaged plastic trash in 2010 were all Asian nations. China was the most egregious, with 8.8 million tons of plastic trash being mismanaged every year. According to Science magazine, mismanaged plastic waste is garbage that is littered or not effectively disposed of, meaning it can easily enter waterways. And that's exactly what 3.5 million tons did from China in 2010. It ended up in the ocean. Behind China was Indonesia, the Philippines, Vietnam and Sri Lanka. The United States made the list at 12th, with 110,000 tons of ocean waste. Those figures came from a 2010 study, but they've stayed consistent over the years. According to Forbes, a 2017 report by the Ocean Conservancy found that China, Indonesia, the Philippines, Thailand and Vietnam were responsible for the majority of the ocean's plastic pollution. The reason why Asian countries contribute the most waste to the seas is twofold. For one, according to Forbes, Asian countries are using a massive amount of single-use plastics, like cutlery and packaging. "We've been so hardwired in Asia to prioritize convenience above all else," said Alvin Li, cofounder of the sustainable products company Kommon Goods. That convenience has led to a lot of garbage, and that garbage isn't being disposed of properly. Instead, it's leaking into waterways that lead to the ocean. The other reason that there's so much garbage in Asia? Because other countries are putting it there. According to the Huffington Post, up until China put a stop to it in January 2018, the Asian nation was importing waste from around the globe. But that's because it has been contributing to the problem overseas. So, Asia isn't solely to blame for its high ocean pollution, but the top polluting countries would still do well to look inward at their waste-management systems. Unfortunately, they don't seem all that focused on it. 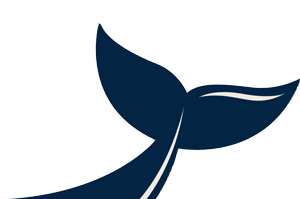 According to Vox,, several G7 countries signed an Ocean Plastics Charter in 2018, pledging to reduce ocean pollution significantly by 2030. The countries on that list include, Canada, France, Germany, Italy, the United Kingdom and the European Union. Japan and the U.S. declined to sign. No other Asian countries are in the G7, but the fact that the lone Asian country wouldn't sign isn't great news. Plus, the U.S. is basically refusing to help the ocean at all at this point, so that's not good either. As seen between the 2010 data and the 2017 data, there's clearly a trend in which countries have the most outpouring of ocean litter. And if those countries want to stop being singled out at the top, they need to seriously act on cutting back on single-use plastics and managing their waste better. Asia is the most populated continent in the world, and all those people are tossing out plastic day after day. That's terrible news for the environment if that continues unchecked. After all, as the Washington Post reported, there are estimations that, by 2050, there will be more plastic in the ocean than fish. Countries need to act now, in 2018, before that statistic becomes a reality.